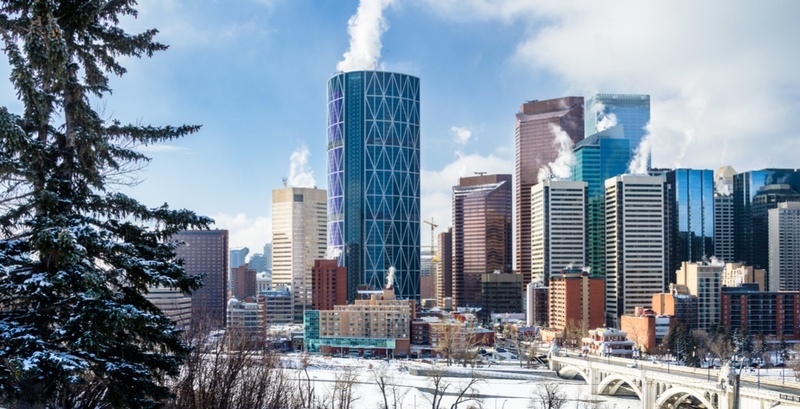 Environment Canada has issued its weather forecast for Calgary, and it’s showing that winter is settling into its groove. Calgary is going to see some very chilly weather today, with temperatures currently sitting around -20°C, meaning that with the wind chill it feels like -31°C. Today’s forecast is showing a mix of sun and clouds, with a 30% chance of light snow later this afternoon. Throughout the afternoon, the wind will be coming from the west, ranging from 20 km/h to 40 km/h, with temperatures reaching a high of -17°C and a low of -30°C with the wind chill. By this evening and well after midnight, the sky will remain partly cloudy and there will be a 30% chance of light snow. Winds are going to pick back to reach 15 km/h, with temperatures reaching a high of -20°C and -27°C with the wind chill. While there hasn’t been an extreme weather alert issued for Calgary as of yet, it’s going to be extremely cold outside and everyone should be cautious and remember to dress accordingly. Remember, if it does start to snow today in Calgary, you have 24 hours to clear your sidewalk before you’re fined.